RM Surveys, one of Perth’s leading survey companies, acquire MHR Surveyors who have been providing tenement and exploration surveying services across Western Australia for over twenty five years. Perth based and independently directed by Phil Richards, MHR is renowned for its personalised service and immediate response for a range of clients including engineers, geologists, tenement and project managers. Phil’s expertise, coupled with RM Surveys depth of workforce and experience across the full survey spectrum, will enable RM Surveys to offer integrated and multidisciplinary solutions for mining and resource clients. 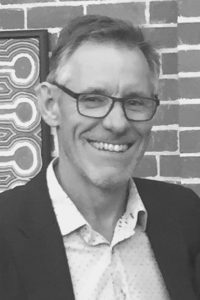 Geoff Robb, RM Surveys Managing Director, said, “We’re continually evolving our service offering as the project landscape changes in Western Australia. The client needs go way beyond construction or property development projects, and demand innovation and spatial solutions of which we’re determined to deliver.” “We understand the urgency often involved in the exploration and mining industry, so this acquisition along with the opening of our Broome and Northam office, means we can quickly mobilise personnel and equipment anywhere, anytime,” said Geoff. For more information, please contact RM Surveys on (08) 9457 7900.